Children, while very adorable, tend to be a little self-centered. And once they start receiving allowance of any kind, they purchase ridiculous 'kid items' that they'll lose interest in within weeks. But maybe kids are improving with each generation. One kiddo from New Jersey decided to save his money to splurge on something a little more meaningful than Pokémon. Five-year-old William Evertz Jr. decided his allowance would be better spent on "random acts of kindness." 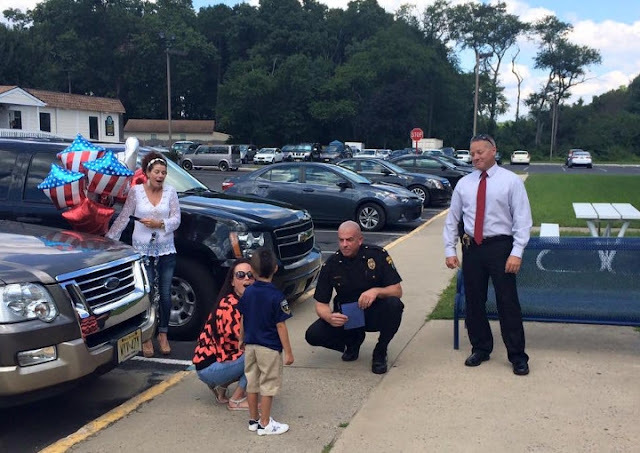 And he started with the Winslow Township Police Department. The kiddo was grateful for their 24/7 protection and wanted to show his appreciation. 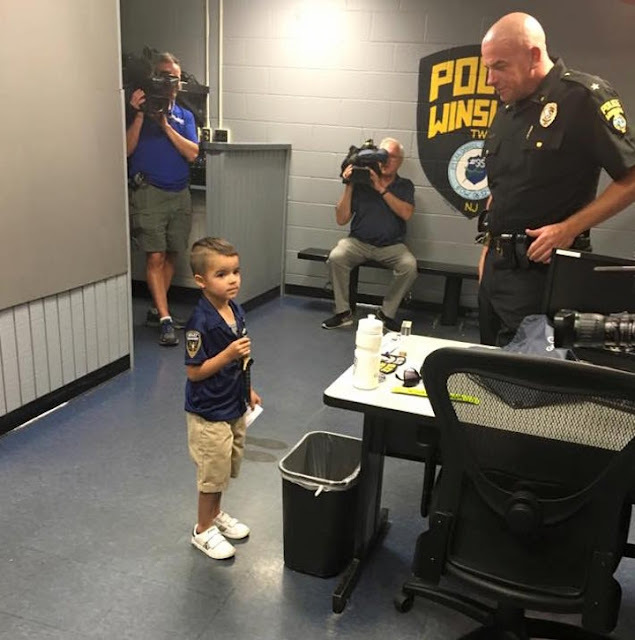 The Police Department took to Facebook to share William's story (prepare for all of the cuteness). 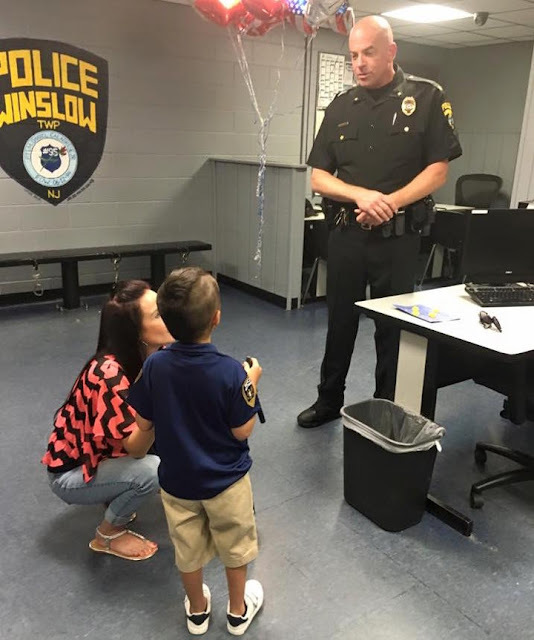 On 08/15 Winslow Twp PD received an email from Tara Evertz advising that her 5yr old son, William Evertz Jr wanted to do random acts of kindness. One of his acts was to deliver lunch to the police officers in his community who keep him safe "even when he sleeps". William chose to buy lunch from his allowance from Subway because he wants the officers to "be healthy." ...He wanted to make sure he bought them a healthy lunch, guys. BRB, heart exploding. 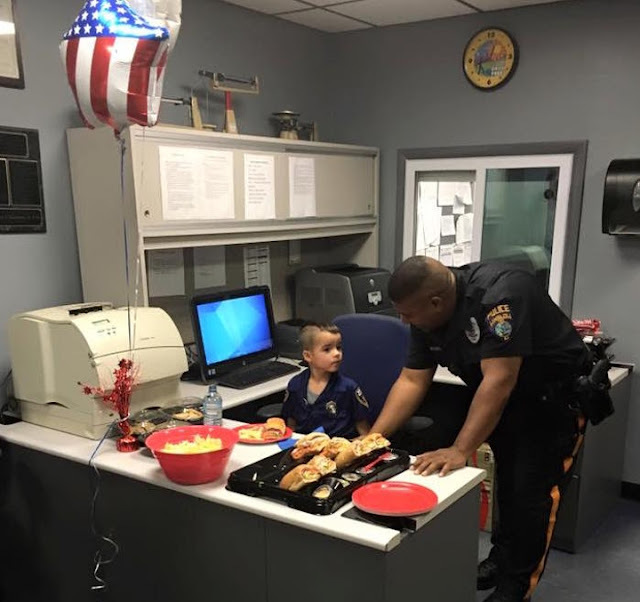 So, after saving his allowance for FIVE MONTHS, William showed up to the station with sandwiches and snacks for the whole Department. Thanks to William's act of kindness, he became an "honorary officer" and the Police Department gave him a special shirt and badges. He also hitched a ride home in a police car with the lights flashing and siren blaring. And William's good deeds will continue. William plans to donate clothes, school supplies, and toys to a domestic violence shelter, food and supplies to a local animal shelter, and $25 to a less fortunate family to assist with daycare expenses. Yes, we finally found the greatest child on Earth. Serious question: how can we ensure that all our kids turn out like this? 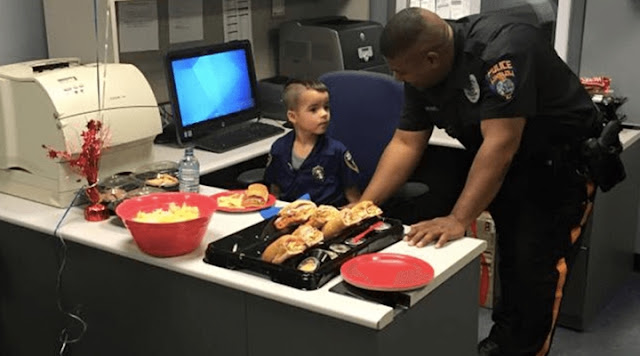 The Department's post has racked up thousands of likes in just two days— and people can't get over the cuteness of the whole story. Hopefully, William will become an official Police Officer someday.